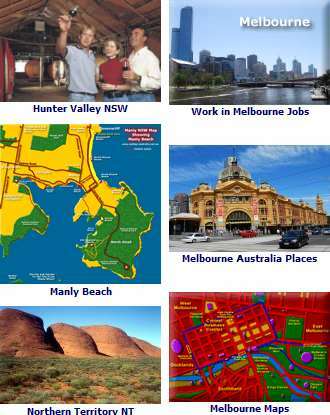 See a Map of NSW: Maps of NSW Places to Visit. Visit their websites for the latest information on changing exhibits, opening times and entry fees. Attractions and Museums in Sydney, go here: Sydney Attractions. Located in Sydney Australia, the Art Gallery of New South Wales has extensive collections of traditional indigenous heritage artworks as well as paintings, sculpture from other Australian artists. Also wonderful collections of Asian and Pacific Art and changing exhibits from all over the world, from the famous to contemporary. In Leura, exhibits the works of the talented Adrian Gilbert. Cnr. of Easter & Holmes Sts. In Glenbrook, stunning artworks of the landscape, flora and fauna of the Blue Mountains. Recently having more than doubled in size, the Albury Regional Gallery is creating a state of the art facility. With changing exhibits of international, national and indigenous artists, it also has an extensive collection of works by local artists, including photography, works on paper and heritage Aboriginal art. Operating for more than forty years, the centre is dedicated to excellence in photo media. Spanning 5 centuries of art as well as photography, indigenous art, prints, drawings and contemporary art from upcoming artists. Museums of course, are also safe harbour for heritage artworks of all kinds: NSW Museums. New South Wales Attractions to Visit: See the NSW Attractions.